Sure that’s hyperbole, but it’s definitely a thought I’ve had a lot lately. I’m still not running which makes it almost three months of no running. Thankfully for my mental health I have discovered spinning. Day by day I am making improvements and today I finally got to run (mostly walk) on the Alter-G treadmill. It was a very strange feeling, but still exciting. I’m hoping next week I get to run more than 4 minutes. In addition to this never ending weird injury that I managed I’ve been getting all my timehop updates and it’s terribly disheartening to see how many Falls that I’ve been injured. 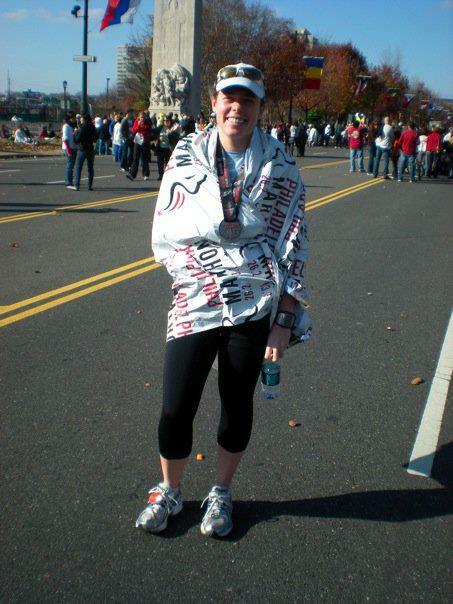 More insane to me is that my one and only marathon is now almost five years ago. I struggled through injuring with that and didn’t even know if I’d be able to run it, but I did. I completed 26.2 miles and I can barely remember it now. I’ve run 18 half marathons, mostly successfully, and I still love that distance, but I’m now afraid of distance and mileage. Why do I keep finding new and different ways to hurt myself? What am I doing wrong? I’ve trained on my own. I’ve trained with different coaches. I’ve trained with different mileage. Yet my body hates me and I’m clearly doing something wrong. I hate that something I love and has brought me so many good things also causes me so much trouble. At this point I am not registering for any half marathons on 2015. I am concentrating on keeping myself healthy and happy. I want to be able to run the mileage again, but I don’t know when I’ll be ready. I want to be able to break my PR, but that scares me even more. I have a 1:49 pace band tacked up in my cube. Someday. Someday I will run that. When? I have no idea, but I know I can. I know I need to run smarter. I need to take care of my body. I’d really like to not visit and orthopedic doctor or physical therapist next year. I’d like to be able to run with my friends. So for 2015 all I want is to run happy and run healthy. I’ll figure out what that means.